While we’re on the topic of food (my favorite subject), I’m back on an oats obsession for breakfast. 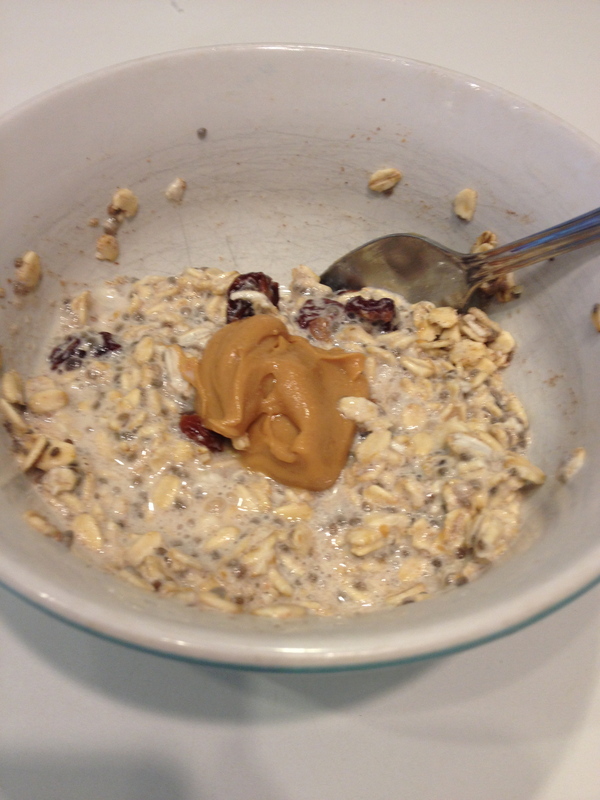 Last week I was rockin’ the egg breakfast, but this week I’m LOVING the oats. For the past two days I’ve been enjoying overnight oats. Overnight Oats are made the night before and are SO creamy and delicious. They are perfect for busy mornings because all you have to do is grab them from the fridge and devour! If you’re curious about these “overnight oats,” I posted a recipe for overnight oats back in August! As I’ve mentioned before, I will be running the Nashville 1/2 marathon on April 27th with my sister! To train for the race, I have decided to join the same running group that I trained with for my 1/2 last October. I love the support, camaraderie, and accountability that comes with being a part of a running group. Although the long runs are early in the morning, the feeling of self-accomplishment that comes from finishing these runs is unlike anything else! I definitely will be posting all about my training in the upcoming weeks! Hope you all have a great Humps day! a running group is such a great thing to have, I am jealous you have one near you. the runs are early but will be worth it. Yes! Having a supportive running group will make waking up early worth it!